Last week, I provided the first instalment of a response to the question Which Parisian Arrondissement Is Best To Stay In?which was put to us by a Distant Francophile reader. Let’s be honest – it’s an extremely valid question. Paris is chock full of things to do and see, and it makes sense to locate yourself close to the highlights that interest you most – if only to make the most of your precious time in a truly amazing city. So, as promised, to round out the information here’s the second part to our answer. And you can find part one right here, just in case you missed it. 7th Arrondissement – Palais-Bourbon. Personally, I’d place the 7th in my top three arrondissements when you are looking for an area to stay in whilst in Paris. Somehow it manages to retain a lovely, left bank quiet residential feel while at the same time hosting some of Paris’ biggest names. These include the Musée d’Orsay, the delightful Musée Rodin and Invalides, where you will find Napoleon’s tomb. Oh, and while you are digging around this arrondissement you’ll probably come across the relatively well known Eiffel Tower. In terms of shopping, two of my favourite Parisian stores – Le Bon Marché and La Grande Épicerie can be found in the 7th. 8th Arrondissement – Élysée. Encompassing one of the most famous streets on the planet – the Champs-Élysées – the 8th is also home to the temple like La Madeleine and the Arc de Triomphe. You’ll find many right bank accommodation options in the 8th as well as some high end shopping on rue du Faubourg Saint-Honoré. 15th Arrondissement – Vaugirard. I’ll be the first to admit that this outer left bank arrondissement doesn’t normally feature on travellers must stay lists. But we love staying in the 15th. While it’s quite a walk to other left bank highlights (and you’ll be catching the Métro if you want to head to the right bank), this large arrondissement gives you a real feel for what it might be like to live in Paris. Sitting in one of the many restaurants or bars in the 15th watching people make their way home from work of an evening is some of the best entertainment you can have in Paris. If you are looking for sights, the rather out of place Tour Montparnasse can be found here. While it’s not so pretty to look at, the views from the top are spectacular. 16th Arrondissement – Passy. Another arrondissement that is not overrun with tourists, offering instead a slice of Parisian life and excellent views of the Eiffel Tower. A little internet research tells me that this part of Paris is pricey to live in long term but the 16th does offer good options for the traveller. You’ll also find one of our favourite Parisian restaurants – La Gare. 18th Arrondissement – Butte Montmartre. One part of Paris that you won’t find devoid of tourists is Montmartre – but that doesn’t mean you shouldn’t stay there. 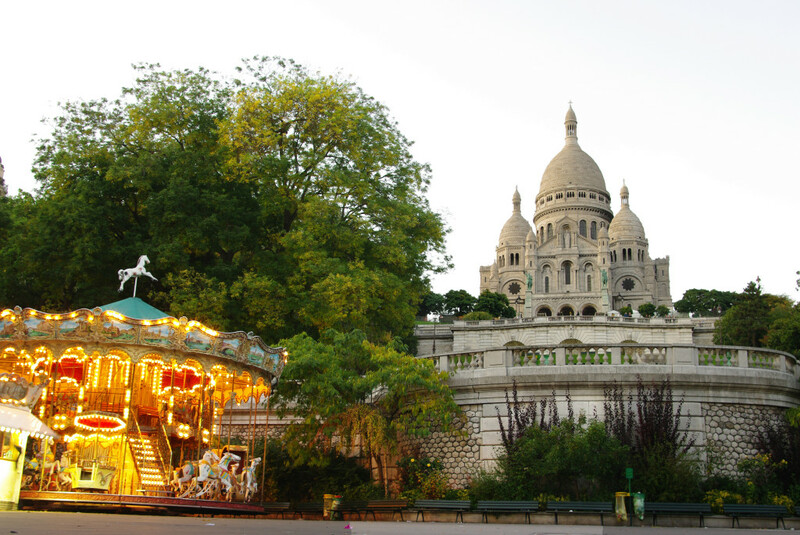 Close to the spectacular Sacré-Coeur, the 18th offers an edgier look at Paris – as well as some amazing views. Located on the outer right bank, you can walk to the 1st but you will be more likely to take the Paris Métro. Do you have a go-to arrondissement in Paris – one that you just have to visit every time you find yourself in the city of lights? If so we’d love for you to share your thoughts in the comments section below. I always stay in the 20th. Yes, the 20th, scorned by most tourists because it has no famous landmarks except Père Lachaise, and perhaps it is not seen as a positive thing to choose to stay in an arrondissement known primarily for a cemetery, even though it is a delightful one. There is nothing upscale chic or ‘Ameripean’, so if you are looking for a Starbucks or a Gap store this is not where you will find it. The 20th is not as modern as the rest of Paris, still just a little bit sleepy, and affords the visitor lots of surprises. Two major metro lines go through the neighborhood so it is easy to get to the ‘standard’ monuments and visits while still staying far from the madding crowd. I have had some of my very best Parisian meals in the 20th, and made some of my favorite purchases. On a clear day, the Eiffel Tower is visible in the distance, a reminder of what there is beyond the streets that border what I consider to be my Paris ‘home’.